My WordPress stats confuse me sometimes. Usually I get a link that tells me where people came from – except for Facebook! 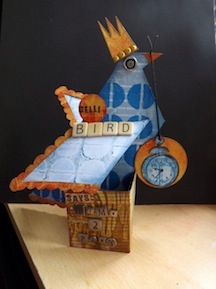 Most of the time, hits from Facebook come via the Gelli Plate Facebook page – they share my blog posts every so often. But I only found that out by guessing. If all of a sudden I am getting loads of hits from Facebook, I assume that is where they are coming from! 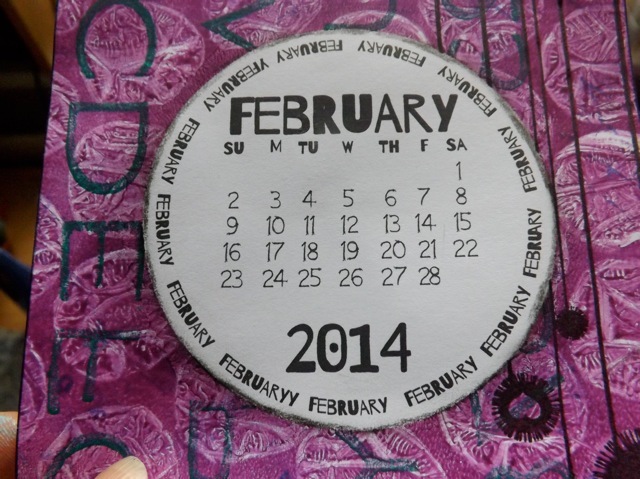 But yesterday I got loads of hits (over 1200) with a large number of them from Facebook, and I have NO IDEA where or why because it is all for the Calendar circles, not Gelli stuff. Makes me crazy. I did do as I said I would and made a much more my-style set of circles. 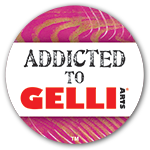 Using grungier, funkier fonts and in a slightly smaller size, leaving a bit more around the edges for arty decoration, they feel more appropriate for Gelli prints than the scripty, pretty fonts on the first set. 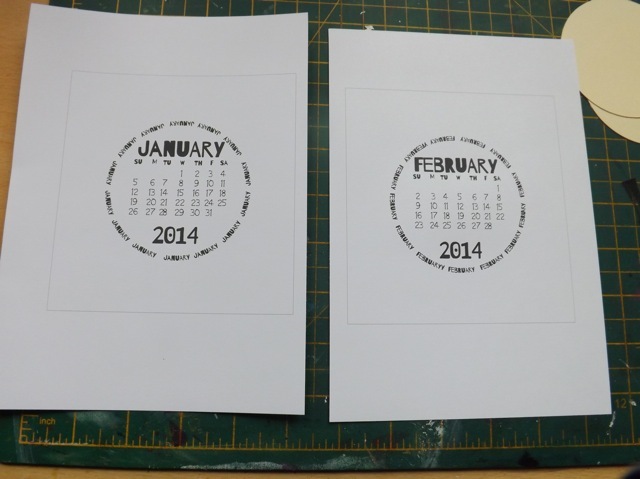 You can download them here – 6 pages, two months to a page. 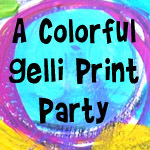 Of course there is no reason you can’t use them for something else rather than Gelli prints – that is just how I chose to do them for the sample. and trimmed to fit the CD case. 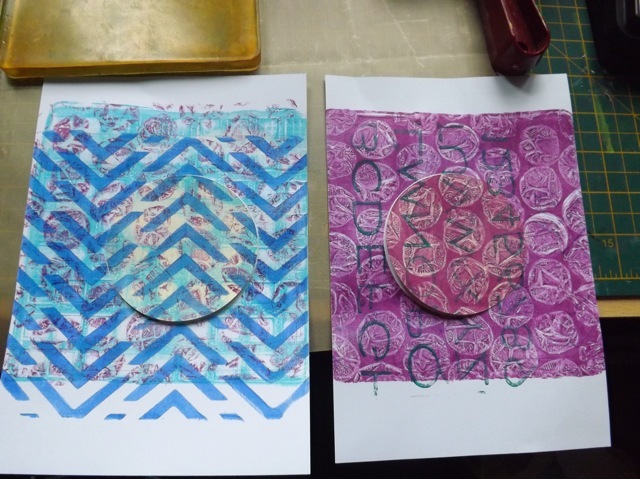 But just like the samples from yesterday, you can trim the sheets bigger (they thin light grey lines to denote the CD case size all but disappear under the Gelli print) and take advantage of the larger area. I like the purple one a lot more than the blue one. Note that the stray Y in February has been fixed in the download. Can you spot it? 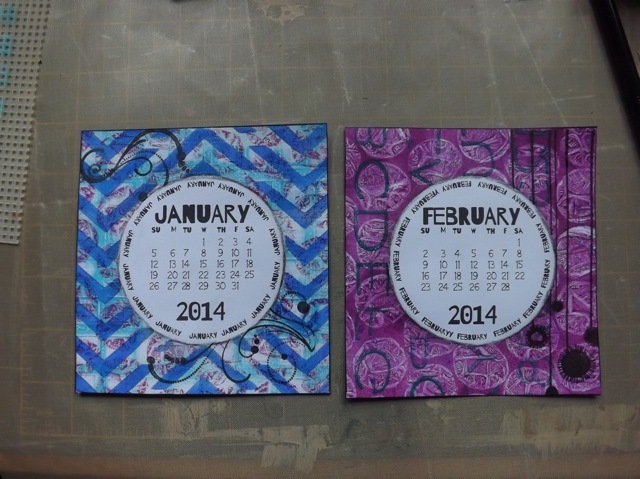 Categories: calendars, Gelli plate monoprints, printables | Tags: Calendar, calendars, Gelli, Gelli plate, printables | Permalink. This is BRILLIANT! 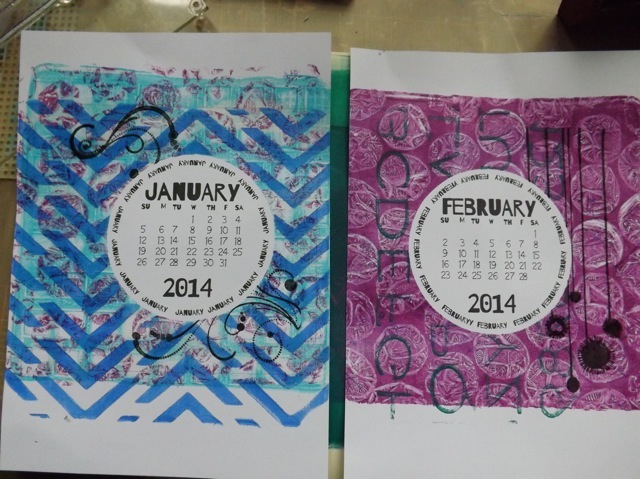 Thank you for the templates and the great idea to do something useful with all of my gelli prints!!! I like the more grungy style too. Your incredible with PL cards and everything you give away on your website. I just want to say thank you thank you! !